International airline passengers need no longer scramble for pens to fill up immigration cards at the Ninoy Aquino International Airport (NAIA) with the Bureau of Immigration setting up e-counters to speed up the process next month. 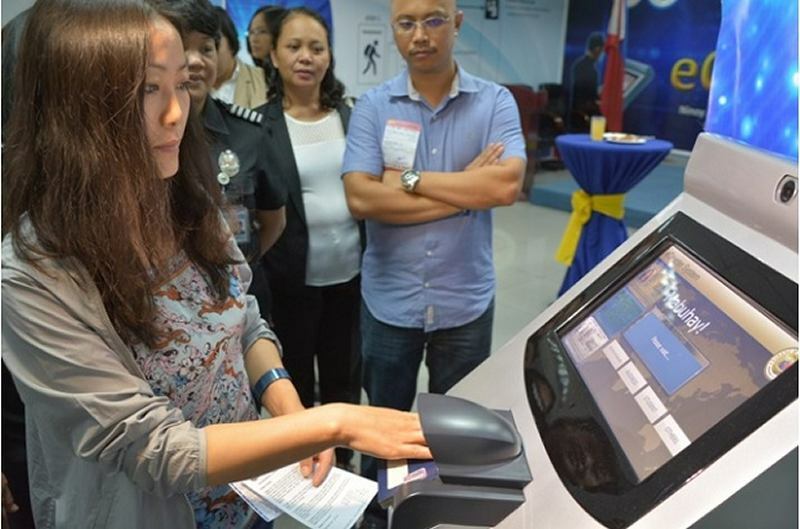 The Bureau of Immigration (BI), which is under the Department of Justice (DOJ), said the e-counters are designed to simplify and accelerate the processing of travel documents of passengers. With the e-counters, the estimated processing time is one minute per person, according to the immigration bureau. “It will scan passports, verify fingerprints, and photos electronically. Once cleared, the passenger may directly access the express or APEC lanes for immediate stamping of the passport,” the agency said. Aside from efficiency, the project is also seen to enhance security checks. DOJ assistant secretary and chief information officer (CIO) Geronimo L. Sy said the launch of the e-counter completes the first phase of the department’s National Justice Information System (NJIS) under the Aquino administration. The BI system as a major NJIS component to link justice sector institutions will be in place in all airports and seaports nationwide. Initial implementation is expected at three major airports in time for APEC event in November. [Editor’s comment:] Sounds good! Our surrounding neighbors do have such systems already for a while and passing their immigration is usually fast and without paperwork. But why did they setup stand alone machines? In Bangkok and Kuala Lumpur it is the immigration officers who operate the machine on their desk. They know the machine. Here in the Philippines it will be the passenger who has to do the job. Errors will happen. And what about disabled persons in a wheelchair? In Bangkok the immigration officer directs the camera a bit downward to catch the face. The e-counter in NAIA isn’t able to do so.